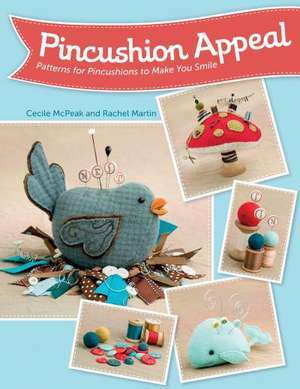 From the creative minds behind Just Another Button Company, this book features unique pincushion patterns. It lets you choose from eight whimsical pincushions and create a handmade work of art that has lasting charm. It also helps you learn clever ways to embellish using buttons, felted wool, embroidery floss, yarn, and other craft materials. Rachel Martin is a designer for Just Another Button Company, and the owner of the paper art business 2 Martins in a Nest. Cecil McPeak has been sewing since childhood. She is the founder and creative director of Just Another Button Company.